With new cameras coming along every week or two from major manufacturers I’m finding more and more of our readers actively researching new cameras and gear. Whether it’s upgrading to a DSLR from a point and shoot, updating that older model DSLR from a few years ago to get more features, buying a second smaller camera to complement a larger DSLR or trying out some of the new mirrorless cameras that are on the market – you’re not alone if you’re planning on getting a new camera. So – lets run a poll and see how many dPS readers are on the hunt! Looking forward to seeing the results of this poll! This morning just ordered and paid for the 5Dmklll, upgrading from 550D. Love the reviews of the 5D, and also am investing in some serious good glass. Had the 550D for about 9 months, about 7000 images, but am hooked on all the features of the 5Dmklll....fps, AF system, etc. Will be watching out for the courier!!! Just picked up a slightly used Nikon D700 with only 3300 clicks. Nice. Some great used bargins out there as new models get release. I am very seriously considering upgrading my Canon Rebel XSi to either the new 5d Mark III or the Nikon D800. It's so pricey, but I'm hoping I can get some work to pay it off in a reasonable time. I got a great deal on the Canon 60D a couple of weeks ago. Body plus kit lens was on sale for the same price as just the body on Amazon. I had just returned the 7D to Amazon because of the soft images issue I had read about but was sure wouldn't happen to my camera, and as soon as I got it I realized I had a lemon too. :( Happy with the 60D so far and looking forward to getting some new glass soon! I was thinking of upgrading from the d5100 to the 7000, but I'm not sure I want to pay that much just to have a longer battery life and aluminum casing. I like that the ergonomics is supposed to be better with the dials, but since I'm just starting out I'm not sure I need to get that crazy about it. Both large sensor, mirrorless and compact. Because it's the format that fits my needs the best. With the GX1 I have the advantage of interchangeable lenses, and very fast AF. With the X100 I have a great image quality (I really love Fuji's image processing). Note that until a few month ago, I was really opposed to high end mirrorless cameras. But with my last DSLR (Pentax K5) I realized that I almost never use the viewfinder anymore. So I went mirrorless and gained a lot of weight when going outside with basically the same IQ. @Ram - I have the D7000 and it's a great camera, came from the D3100. If you're familiar with Nikon's settings and layout of things I'd say just stick with the Nikon, plus if you're keeping the D3000's body you'd be able to use that camera as a back up with many of the same lenses. @dotcompals I would say hold on to your camera for now: it is a good camera, good enough for the time being anway and Canon does have a few tricks up its sleeves waiting to unveil themselves. Not in the next year but I am always "shopping" - keeping an eye on new cameras as they come on the market. I would really like to get a full frame DSLR but that will not likely be in my budget very soon so I will more probably get a mate for my Pentax K200D. Especially since a full frame DSLR will also mean getting at least one lens to go with it. So it will either be the K-5 or the new K-30. Of course, if Pentax ever throws it's hat into the full frame ring , I will give it serious consideration. Waiting to see what the new Canon FF is all about in September. I'm not interested in megapixels or swivel screens, I want IQ, high ISO ability, CF card, weather sealing and AF points ala 7D or better. I've been using nikon D3000 for the past 3 years now and i think now it's the time to upgrade.Can't decide between Nikon 7000 and Canon EOS 60D. Any suggestions please? Just bought a Canon 7D as an upgrade for my 4 year old 450D. Could not have imagined that a camera could make this much difference. 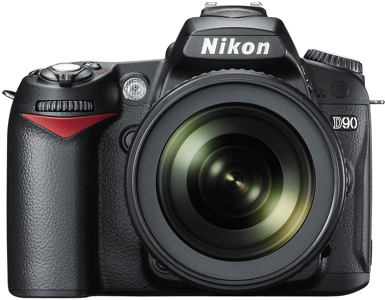 I've been eyeing on Nikon D7000 since it came out and finally i have the money saved up so it's time for me to buy it. I have tried Nikon 1 but it's not same as DSLR camera but it's an excellent point and shoot camera. I'm waiting to see what happens at Photokina next month. If the rumors are true, I will upgrade my Digital Rebel XTi to the new 7D Mark II which will be full frame. Just upgraded to the D7000 body, and it does everything it's supposed to, and more. Low light capability is just awesome. And it works with ALL my Nikon glass! I am thinking of upgrading from a Casio EX-ZR100 to a Canon DSLR... I was thinking about the T3i. Any suggestions or recommendations? I've put my 50D through it's paces. It's looking a bit weathered and needs some servicing but has been a trooper. I'm looking to upgrade to full frame with a 5D mark II. I'm not sure the mark III is that big of a technology jump above the mark II but the price certainly is. I'd rather spend the difference on new glass. Am planning to hang on to the 50D. Just upgraded my Sony Alpha to a Pentax K-5. Love it! I upgrade only when I wear out my current camera or when I take a dip with it in the sea! So to answer the question from this article...ah, nope, no plans to buy a DSLR. I was looking into maybe buying a used DSLR, and was talking to my younger brother about what features I absolutely would need to have, and he decided to give me his Rebel xti. three days later, it was delivered to me from Japan, where he now lives. Since hubby didn't have to buy me a camera, he bought me a lens, the 50 mm 1.4. I am having so much fun! I know the newer cameras are fancier, but I can't imagine outgrowing the xti anytime in the next two or three years. I really think a lot more people could get into DSLR's if they would consider buying used instead of having to buy brand new. It's nice to have new, but there's something to be said for used if you are on a budget. I've been using canon digital rebel DSLR for the past several years. Now I need an upgrade very badly. I'm interested to shoot landscape and wildlife . Hope people here can suggest a good upgrade. Loving my Canon Powershot G12 (a recent upgrade from a basic Canon point-and-shoot that died). I'm having a blast trying to learn enough about photography to justify buying myself a Canon 60D (maybe a 70D by that time). Wish me luck! Since I bought my D7000 my eyes have not wandered at all! I love this camera!!! I just upgraded in the last few months and I'm planning to hold on to this baby for years. Im finally going to pull the trigger on the new cannon full frame. I've been using an older point and shoot and my 4s. I have kinda been looking for a 5dmkII. now I'm ready. Just waiting for the release. I have a Sony a850 that takes georgeous pictures. BUT it's hard to find glass and gadget type accessoreis (timers, remotes, etc.) for it. I hate that I'm pondering the swtich, but I dont' know how I can move forward without switching to a brand with better accessory access. Have had a bridge camera - Fuji FinePix S5500 for about 6 years now (I can't believe it's been that long!) Been very happy with it - did a lot of research before I bought it. But it started showing it's age and limitations - so I started looking around. Then it packed it in for good a week ago, (still takes good shots but the view finders - both of em - have gone out). I was debating with myself whether to make the step up to the Canon DSLR (that way hubby and I can share glass) or another bridge camera (which I have been quite content with). Thanks in part to the review here of the new Fuji FinePix HS30 EXR I'm pretty sure that's going to be my next camera (in the next few weeks when I the cheque I'm waiting on comes in).